Have you ever wondered how AIGA Charlotte gets to do the things we do? Besides having an amazing board of leaders (cough cough), we’ve also partnered with some amazing businesses. Without the support of some really incredible people, there would be no AIGA. That’s why we believe that it’s so important that we showcase those people that help us out a lot behind the scenes. Next up is one we’ve recently partnered with and they have nothing but gracious to us. Their name? Advent Coworking. You may or may not have heard of them, but they are definitely tearing up the coworking competition in Charlotte. They’re so much more than their incredible space, read on to find out why. 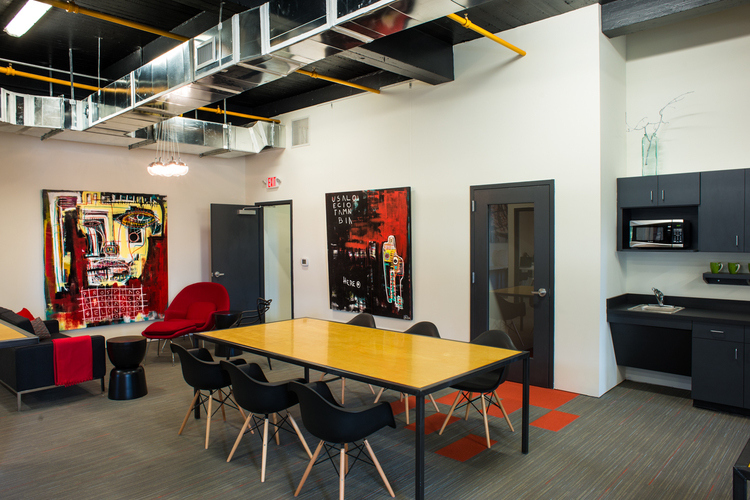 Advent Coworking strives to create an inclusive, creative, and welcoming space for all who walk through their doors. 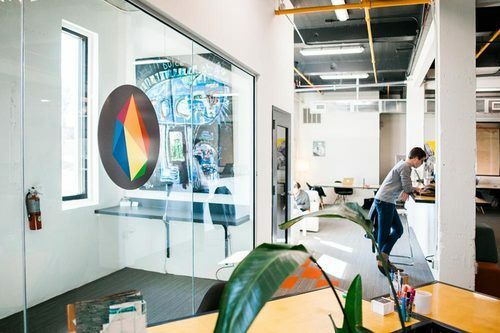 In a nutshell, they are a creative coworking community, a rotating art gallery, event space for members and nonmembers, and created one of the first podcast studios in Charlotte. Q: What interests you most about partnering with AIGA Charlotte? A: We are committed to the creative community of Charlotte and are excited to partner with AIGA because of our similar mission: to provide opportunities for networking, creativity, and opportunities for members to further grow his/her business. Q: What services can you provide our members and the community? A: We can provide a creative and inclusive space. We offer different membership options depending on your needs, conference rooms and spaces for meetings with clients and colleagues, and we offer our connections. We are very connected with our members and within the Charlotte community and would love to help in any way we can with individuals and the AIGA as a whole. 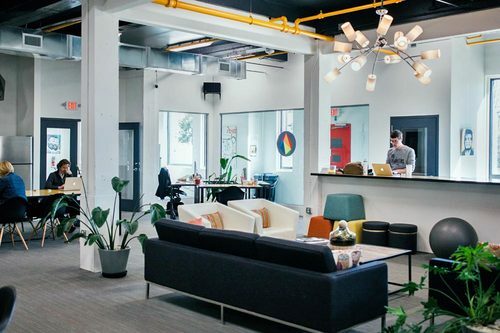 A: Recently, we have expanded our office space to include private offices (with more to come), two new conference rooms, an updated state-of-the-art podcast studio, and more quiet nooks for work. Throughout the year, we have events focused on networking, entrepreneurship and creative consciousness, such as f*ck up night, where we hear the good, the bad and the ugly from entrepreneurs; happy hours at our neighbor, Catawba Brewing; A, B, C Night at Pint Central for creatives to talk about art, life and beer; and podcasting days where we teach would-be podcasters how to use the equipment so they can create the next amazing podcast to come out of Charlotte. 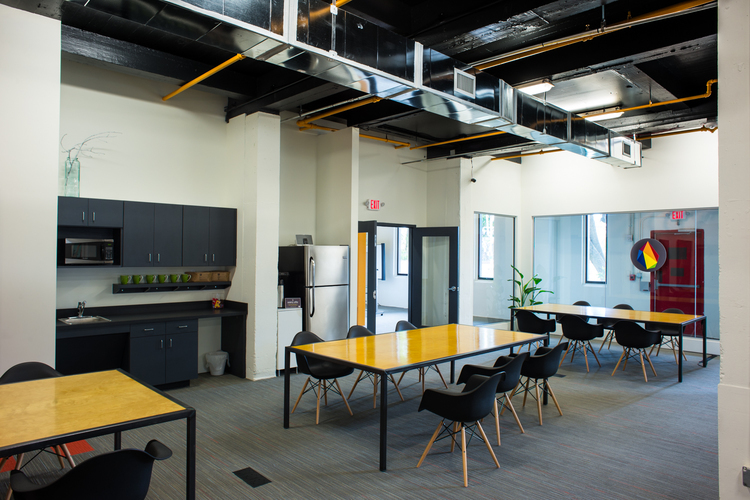 Are you an entrepreneur, a start-up looking to take the next step or a business owner who is looking for an awesome and affordable office space? 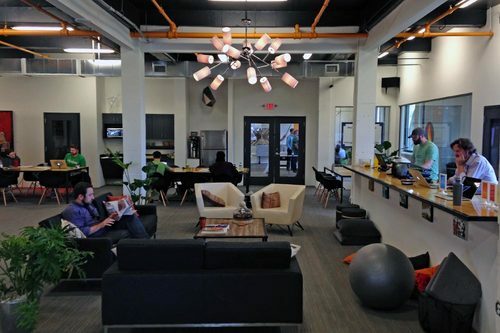 Then Advent Coworking is something you have to check out! They’re located right beside the new Catawba Brewery so you should definitely pop in and see it for yourself! Thank you, Advent Coworking for being such a great partner!